1)The TITLE you would give these figures. Make it a single declarative statement about the data. The cancer cells have higher annexin protein than the normal cells. 2) The background that the authors must have had in mind that made them ask this question. To do this, use the review article you read for last class. MMPs break down ECM which pave the way for tumor cells to rapidly grow and enhancing the blood vessels (good environment for tumor growth) which also help the growth of tumor cells. Annexin helps to regulate MMPs, and therefore controls tumor growth. 3) The question asked. What were the researchers trying to figure out that led them to gather these data? Which type of annexin(annexin A1, annexin A2, annexin A4, annexin A7, or annexin A11) have stronger protein staining on tumor and metastasis cells? 4) The methods employed. What were the subjects, the manipulations, the controls, the data collected? Data collected: intensity of annexin protein staining in different type of cells (normal, colorectal tumor, and metastasizing colorectal cancer cells). They extracted cells from dead bodies, applied stains on the cells, and observed the intensity stain of different types of cells (normal, colorectal tumor, and metastasizing colorectal cancer cells) under a microscope, to observe the intensity of annexin protein staining. The highest and second highest percentage of the intensity of protein staining across the three cells are in Annexin A4 and A11 respectively. Within each Annexin A1, A4, and A11, tumor cells have the highest percentage of intensity staining. The percentage of intensity staining of normal cells in Annexin A4 and Annexin A11 are slightly similar. In Annexin A7, there is no visible intensity of protein staining in normal and collateral cells and barely any in metastasis cells. 6) The conclusions reached. Don’t OVER-reach – but how can one interpret these observations to address the question you imagine the researchers asked? According to the graph, we can infer that there is more of Annexin A4 compared to the other types of Annexin in normal, colorectal tumor, and metastasizing colorectal cancer cells. 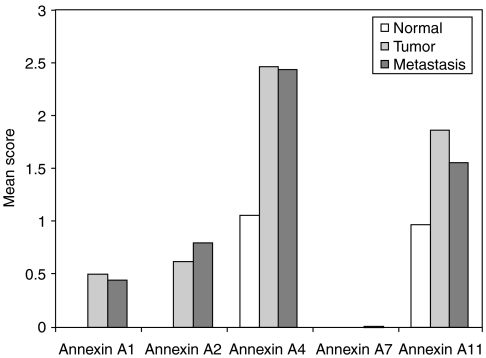 There tends to be more Annexin in tumor and metastasizing colorectal cancer cells than normal cells, but this may not be the case in Annexin A7. Poems and rhythms are big parts of the Khmer culture. Khmer poets have been composing different types of poems for centuries. 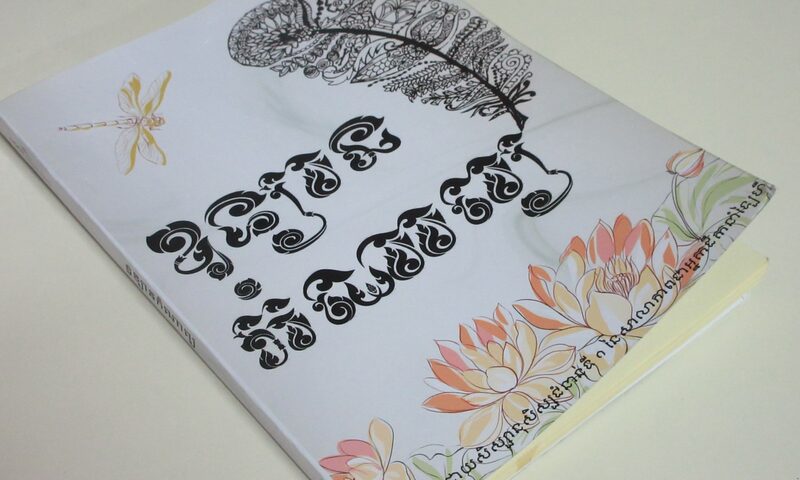 To preserve and spread this culture, our Khmer class decided to write, design and publish our own poetry book. We composed a massive collection of poems about everything which includes food, parents, love, ambition, and more. In addition, we have steps to formulate varieties of both ancient and modern Khmer style poetry and the history behind them. We put everything into book format and printed 30 copies for the Khmer Literature Festival. PS: We sold all 30. Below is a lab report for an experiment I did in my Chemistry Class to understand what quantized energy level is. Place the wood splint for each compound into the flame using tongs or tweezers- ONE AT A TIME! Take note of the color of the flame and return the wood splint to the solution. CLEAN UP YOUR STATION! Carefully put the stoppers back on the solutions! Make sure the station looks like it did when you started! Let me know if you need new splints! We see colors in the flame tests because different color means different energy emitted. We will test the substance qualitatively by burning the salt and judge the color with our eyes. We can then use the wavelength corresponding to the color to quantify the data. Data Table: make a section of your lab labeled Data Table and make a data table similar to the one below to record your observations. How do your results from the flame test provide support for quantized energy levels? Explain your answer. When exposed to flame, electrons move from one orbital to another, which then cause the photon emitted to have different energy levels, or in other words, different wavelengths. And colors result from light traveling at different wavelengths. By looking up the wavelength corresponding to each color, we can write our data in a quantifiable manner. Conclusion: (answer in a complete paragraph and in complete sentences) What are two possible sources of error for this lab. How would the errors affect your lab? What would you do differently next time to counteract these errors? One possible source of error can be my judgment of the color of the flame. This can significantly affect the result of the lab because it’s the basis of how I got the wavelengths of light. Next time, I can just take pictures, measure the color codes and find the wavelengths in a more accurate manner. Another source of error can be the time at which I record the data. The color of the salt changed as I let it burn. If I recorded data at different times, the color will change and the data won’t be accurate. Next time I will record the data after 3 seconds for all types of salt. This round of literacy focused on the study of the American history as it was beneficial since we are sitting the SAT. We read and discussed major events such as the American Civil War, the Great Depression, and the American revolution. We also studied the meat packing industry, immigration, and Native Americans. 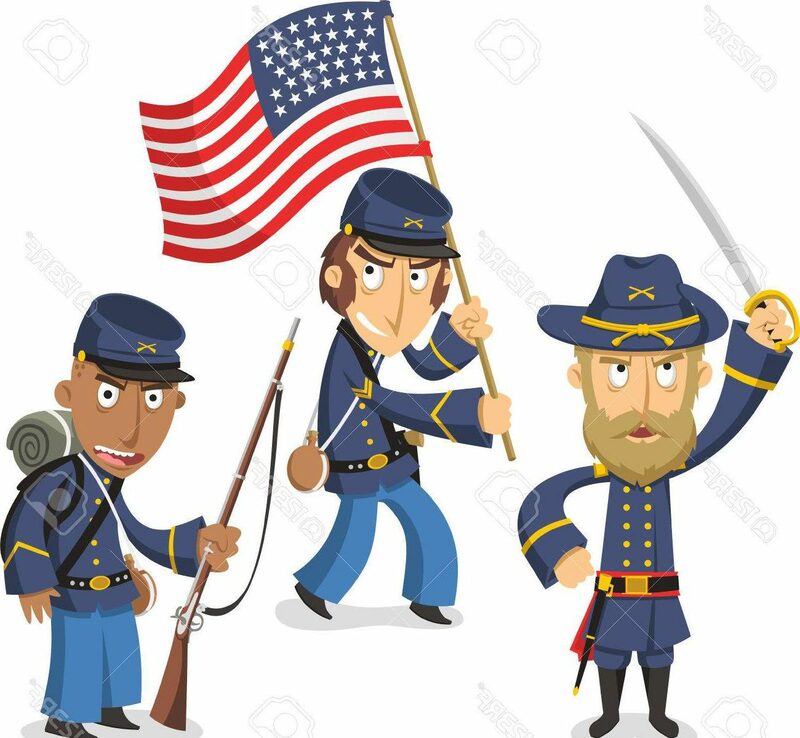 Below is my analysis of the causes of the American Civil War. The Civil War resulted from the different views of the South and the North on slavery: slavery was part of the Southern way of life – as agriculture in the Southern climate benefited from having slaves – whereas the North viewed slavery as something against their moral belief. According to the article, the Southerner could worth zero cent and end up being worth “100,000 to a million of dollars” in just five years because of the “free labor” they were exploiting. On the other hand, the Northerner(who were about “20 percent” “foreign-born”), who had “no need for slaves,” no concern for Southern “lifestyle or traditions,” and with a religion that “prohibited slavery,” wanted slavery gone. The Northerners even went as far as to “rescue fugitive blacks from the slave catchers.” This shows that the conflict – the Civil War – arose because the Southerners, whose population were half slaves, thrived under slavery and wanted it to continue while the Northerners, who didn’t benefit much from owning slaves and had a moral obligation against the practice, wanted slavery gone. The standard circle equation is (x – h)2 + (y – k)2 = r2, with the coordinate of the center being (h,k) and the radius being r.
A circle has a radius of √5 units and is centered at (2.1,-5.4). 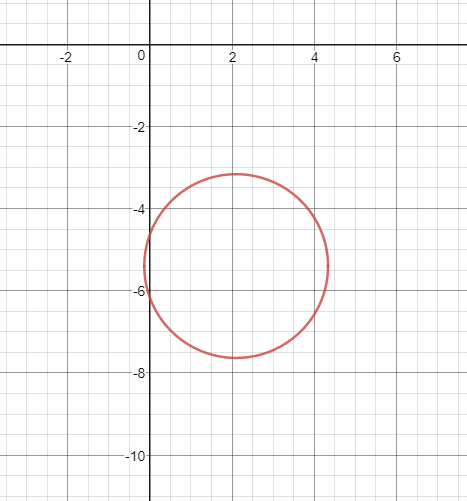 What’s the equation of the circle? We can solve this using the circle equation. (x – h)2 + (y – k)2 = r2, and h is the x-coordinate of the center which is 2.1, k is the y-coordinate of the center which is -5.4, and r is the radius of the circle which is √5. We can rewrite the equation as (x – 2.1)2 + (y – (-5.4))2 = √52, or (x – 2.1)2 + (y + 5.4)2 = 5. As an ESL student, a way to show universities that I can effectively use English is very important. IELTS or TOEFL has usually been the standard way. But now, a new test is emerging. Duolingo is an ultra-low-cost English test that is not just affordable, but also time efficient. It takes around 45 minutes and only costs $45. While some universities accept the score as a supplement, many accept it as a standardized English test. I got a 94 which translates into an 8.5, in term of IELTS, or a 115, in term of TOEFL iBT. Not every day you come from a two-month summer break and start a two-week SAT boot camp. But that’s exactly what I and 49 other Liger students did. We had two volunteers, Amanda and Kim, helping us with contents and test-taking strategies on both the English and the Math section. Overall it was a great experience and I am very satisfied that my math score went up from 740 to 780. This is a Khmer New Year inspired creative writing project. Bob arrived in Cambodia for one of its biggest national celebration, the Khmer New Year. He saw what the city had to offer and went to its Bon Phum. On the third day, he decided to take a boat trip up to Siem Reap to spend time in Angkor Songkran. The boat is halfway there, and Bob had so far enjoyed the trip. The sight, the wind, the fish, the people, they’re just incredible. Suddenly the floor tilted left and right and before he knew it, the boat was starting to sink. Bob passed out and woke up in a strange bed. He’s somehow breathing underwater and his pair of legs are replaced by fish tails. “He’s awake,” someone called out from outside of his room. During my KNY, I went on a free boat ride and I also read about the Sinking of MV Sewol, a South Korean ferry. That’s what inspired this story. Poseidon was the god of the Sea, earthquakes, and horses. Although he was one of the three supreme gods, he spent most of his time in his underwater palace. His power were those related to the sea including storms, earthquakes, lightning, water manipulation, etc. The god of the Sea was the son of Cronus and Rhea, brother to Hades, Zeus, Chiron, Hera, Demeter, and Hestia. He was also the father of the famous hero Theseus and the husband of Amphitrite, the goddess of the Sea. At birth, he was swallowed by his father Cronus, along with his other siblings, but was later freed by his brother Zeus(as an adult) to join the war against their father and the other titans. Poseidon is always seen holding his trident in every depictions. He’s often portrayed both in painting and films(ex. Percy Jackson) as an older white-haired man with sea-green eyes(inherited from his mother Rhea). Horses are also the symbol of Poseidon because he is well known for creating them. He was also the protector of those travel across the sea. Sailors prayed to the god of the Sea for a safe voyage, “sometimes drowning horses as a sacrifice,” according to Encyclopedia. Poseidon was also known for his wrath and cruelty. When angered, he was said to have used his trident to create earthquakes and storms that shook the entire Earth. As an example, after returning from a decade-long Trojan War, Odysseus blinded the Cyclops Polyphemus who was Poseidon’s son. In retaliation, the god of the Sea caused a ten-year delay in his journey back to Ithaca and sent storms that caused the loss of most of his men and ships. 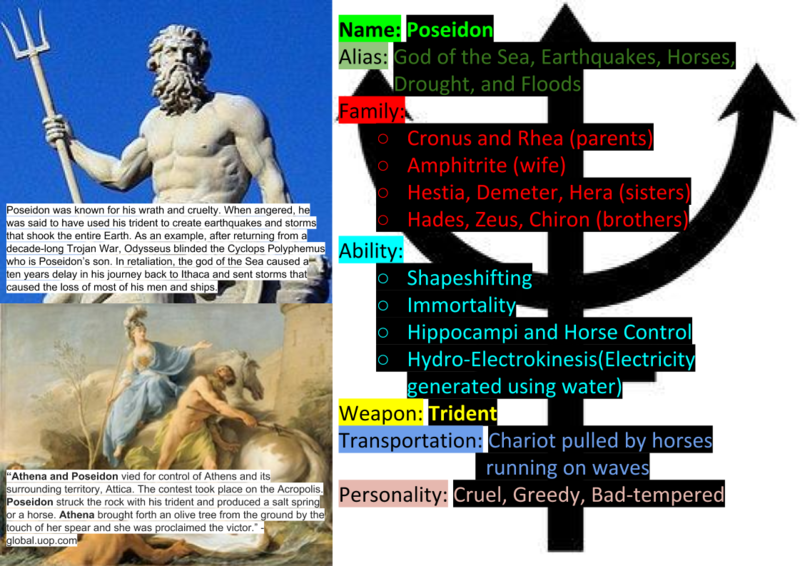 To conclude, Poseidon was a really powerful god that sailors and those who were affiliated with the sea prayed to. Although sometimes he can be nice, he’s often depicted as a short-tempered god who can be really cruel when being crossed as seen in Odyssey. Just like other Greek gods, Poseidon is more of a powerful immortal human rather than an infallible god. Britannica, The Editors of Encyclopaedia. “Poseidon.” Encyclopædia Britannica, Encyclopædia Britannica, Inc., 12 Feb. 2018, www.britannica.com/topic/Poseidon. “Poseidon.” Wikipedia, Wikimedia Foundation, 15 Mar. 2018, en.wikipedia.org/wiki/Poseidon. “Poseidon • Facts and Information on Greek God Poseidon.” Greek Gods & Goddesses, greekgodsandgoddesses.net/gods/poseidon/. 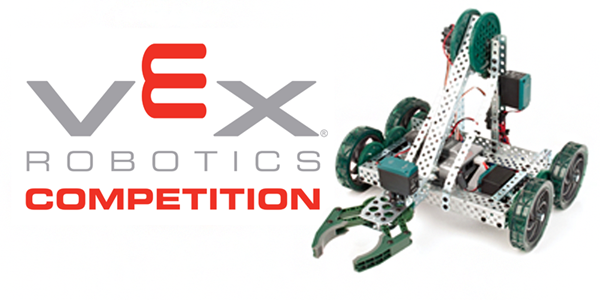 ‘VEX Robotics Competition, teams of students are tasked with designing and building a robot to play against other teams in a game-based engineering challenge,” VEX robotics as described by VEX themselves. This is the perfect place to compete, learn and collaborate. Students design advanced mechanisms, test crazy ideas and code complex control systems. I’ve really learned a lot from the 125+ hours I’ve spent on this project. PS: I am the guy with the light blue sleeve at the bottom left corner. I’m a 16-year-old English learner and a STEM enthusiast. I’m currently enrolled as a senior student at the Liger Leadership Academy. 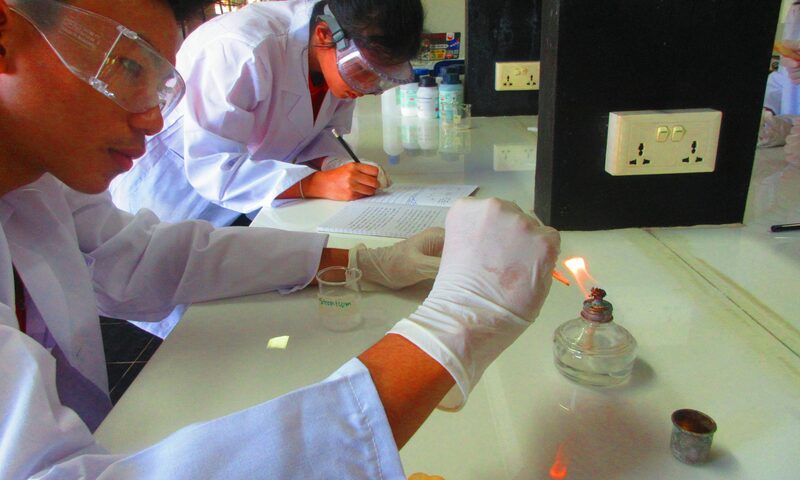 Here, we base our curriculum on learning experiences and hands-on works. I’ve traveled all around Cambodia and even abroad to expand my learning. Enjoy my blog.